TOURE-HERNANDEZ & ASSOCIATES, P.C is a law firm specialized in Immigration & Naturalization law representing clients nationally and internationally before the United States Eleventh Circuit Court, United States Sixth Circuit Court, United States Second Circuit Court, Immigration Courts across the United States, Board of Immigration of Appeals and the Department of Homeland Security. Moreover, with respect to Georgia, we offer representation in Family law, Civil and Criminal defense litigation before the Supreme Court of Georgia, Georgia Court of Appeals and Superior and State Courts and lower courts. When you enlist the supportive assistance of THA law firm, you can be confident that you have made the right choice. As first-generation immigrants and immigrants, our firm has a unique understanding of the complexities that you are facing. We will offer you the competent representation and compassionate care that you deserve throughout the legal process. Our legal team will offer you the individualized assistance and personalized legal solutions that you require in order to achieve your goal. 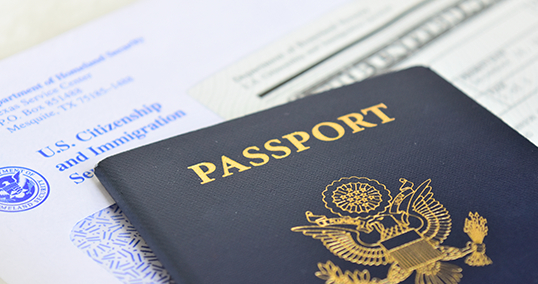 Our firm has successfully handled hundreds of immigration cases throughout the United States. Our experience, knowledge of immigration law and practices, and dedication to every case makes us the immigration law firm clients trust when they need a lawyer who offers honest, quality legal representation. Our law firm is known for handling even the toughest immigration cases and that is why people refer the most challenging cases to us. As testimonials from some of our clients state, exceeding expectations at affordable cost is our modus operandi. My name is Assiatou, I started to file for my papers for a program called ( cancelation of removal ) in spring 2011, I went to seek Mrs. Kadizeth Toure 's service, after checking to see for all the requirements for my eligibility, Mrs. Touré filled my papers and, soon after that, I received a letter from the Immigration services telling me that I was under an order of deportation since 2001 for the asylum application that I filedl in the state of Tennessee which was a real shock to me , because, I had never filed for such a thing. So, after, gathering all the proofs , Mrs. Touré and I , flew to Memphis Tennessee ,to see the Judge , and, luckily , it was proven that it was not me. there After that, Mrs. Touré transferred my case here , in Atlanta , we went through all the court dates and, stuffs, I had my " individual hearing " with the judge in September 2013, and, I did not get my decision from him up until September 2015 , and, to find out that, my case was denied . So, I went to see Mrs. Touré the next day , and, we filed for an appeal , and, after that, I waited for 2 years to get a decision from the appeal court , which was in March 2017; but, the good thing was , I got my case approved by the appeal court this time .And, I had a court date to finalize the whole thing 10 weeks , after receiving the appeal decision , Mrs. Touré and, I , went to see the judge last week and, I am now a legal resident with a green card , after, living in the states for over 20 years. The journey was not easy at all , but, it took patience and courage, and most of all Mrs. Touré fought for me. She never slow down on the hard work. She was there with me, for every court date , she never miss one of them for all 6 years that, I spent being her client. Thank you so very much for all that you did for me, from the bottom of my heart Mrs. Touré !! !May God continues to bless you more, and, good luck with all your cases in court !!!! Fear is crippling. That's exactly what it did to me for many years. The biggest issue was that things happened that were beyond my control, but it left me worried that I would eventually feel the impact. God definitely stepped in, reminding me that the Earth is His and I needed to walk in truth no matter what the outcome. I was introduced to Khadizeth and immediately felt at peace. Upon meeting her she asked me why I had waited so long to rectify my status with immigration and I shared with her my hesitation(s). She smiled reassuring me, "Don't worry. I got you." Not only does Mrs. Toure have a heart for people but she is extremely knowledgeable and efficient. I still remember the day I completed my initial paperwork in August and was astonished when I received the biometric notice in November. I'm am officially a permanent resident thanks to Toure-Hernandez & Associates. Now am in route to becoming a US citizen! To God be the glory! I have grown to trust the work of Mrs. Khadizeth. She is reliable and knows the best course of action about all different aspects of my case. She does not waste any individual’s time and tells it how it is. She made it her business to see that my case is adhered to yield the best outcome. She is a hero. She is a good attorney and cares about her clients. She was knowledgeable able my case and told me not to worry about anything that had to do with the case; as it turned out, everything came out okay even in the verge of facing my most difficult situation. Mrs. Toure-Samba treated me like family when I took my case to her. Our relationship have been going on for 11 years. She dealt with my case until I was able to bring to the United States my daughter and now she is working on my son-in-law’s case. My experiences with her has been nothing but fantastic. Words cannot describe what Khadizeth did for me pertaining to my case. When my visa expired, she was able to work with me to adjust my status and work my way until now I am a citizen. I was able to take my children’s cases over to her and she helped them out until they are all citizens now. I do not know if I will be able to thank her enough because of the affordable prices she gave me. Khadizeth and her staff help me beyond the duties of a lawyer. She was very patient with me even when I could not attend to execute some of my duties as a client. She also offered me a deal that I could not get from any other lawyer. Khadizeth gave me advice and mentoring about life beyond my case. I will definitely recommend her because she is invested in her clients. My relationship with Khadizeth has been the strongest. She cared very much about my case and she was always on me about my case. I can tell she and her team know what they are doing. My case was smoothly executed, she is always on point. She is a lady of integrity and will never tell you a lie. I’ve known her for 10 years and I still consult with her if I need to know anything. She is the best attorney out there that truly cares about her clients. Ms. Khadizeth is a spontaneous and professional attorney that exercise her job with passion and dedication. My case went exactly as she said it would be; she regularly gave me heads-up, I was never surprised. She helped me a lot and went through it with me, step by step. Ms. Khadizeth always told me not to worry about anything and she always made sure that I am aware of all consequences beyond the case. She is the best of the best; I would recommend her to anybody. I'm very thankful for her. Thank you so much for everything that you did for me you're the Best.